Shop the range of innovative hair care from Nexxus here at Mankind. Starting in 1979, Nexxus uses cutting edge science to create salon-worthy hair care products. The founder was a scientist, cosmetologist and inventor of modern day conditioner, the very first pH balanced shampoos, the use of vitamins and minerals and treating the hair with protein. Their advanced scientific methods continue to pioneer and innovate and use nature’s most powerful ingredients. They source proteins to enrich products, restoring and replenishing every hair type. The Nexxus Emergencee Shampoo is a silicone-free shampoo designed to revitalise hair using kind ingredients. Formulated with marine collagen and 100% pure elastin protein, it enhances shine and rebuilds damaged follicles for re-balanced hair. Targeting damaged, sensitised hair, it replenishes nutrients for fresh, light hair. 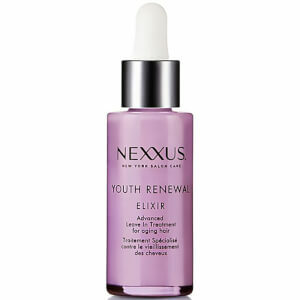 The Nexxus Youth Renewal Masque is a restoring hair masque designed to penetrate the hair shaft, conditioning and nourishing from within. Formulated with liquid pearl, the marine pearls are known for their visual lustre and mineral rich formation, causing hair to become soft, sleek and shiny. The weightless formula contains 100% pure elastin protein for in depth moisture and shine, replenishing and rejuvenating the hair.